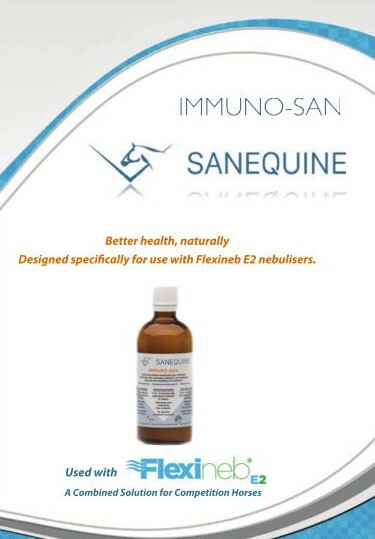 Immuno-San is an inhalable solution specially formulated to support the respiratory system of performance horses. Because it is completely natural and non-testing (FEI Legal – please check with your local competition authority), it is ideal for use in Competition horses. 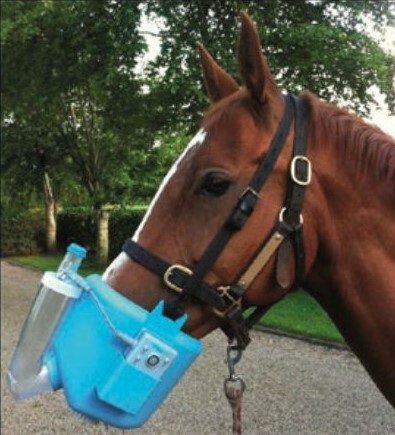 It is ideal for all horses recovering from respiratory illness, or those who want to prevent respiratory stress when travelling or regularly competing & exposed to viruses. When is Immuno-San use indicated? recovering from respiratory disease or infection. treated with corticosteroids. Immuno-San works to support the immune system and prevent further infection. Using Flexineb E2, the treatment protocol is 5ml delivered twice daily, un-diluted via Flexineb. Immuno-San is indicated as a 10 day treatment, repeatable as often as required but is ideal at the start of training & during intense training or when travelling. is the perfect tool to administer Immuno San.